EXTREMELY FINE APPEARANCE. 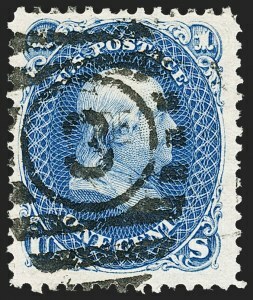 A RARE USED EXAMPLE OF THE 12-CENT 1861 RE-ISSUE. 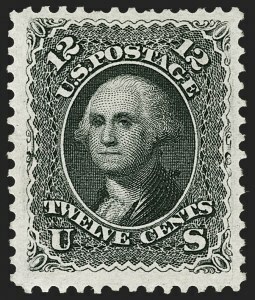 The 12c Re-Issue was printed from a new plate of 100 subjects, compared to the original plate of 200 in two panes. 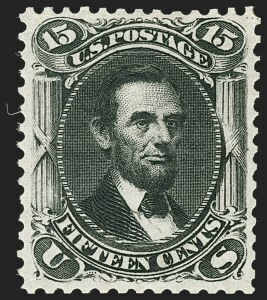 10,000 stamps were printed (100 impressions). 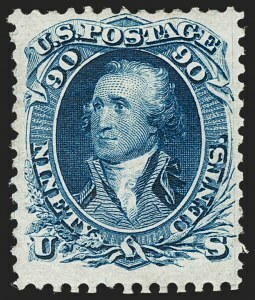 Only 389 of the 12c were sold; the remaining 9,611 were destroyed on July 16, 1884. 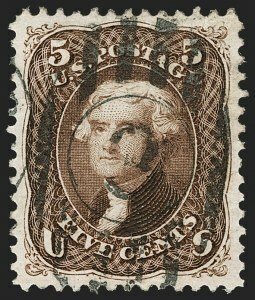 Our census of Scott 107 used, available at our website at https://siegelauctions.com/census/us/scott/107 , records only 16 examples. VERY FINE APPEARANCE. 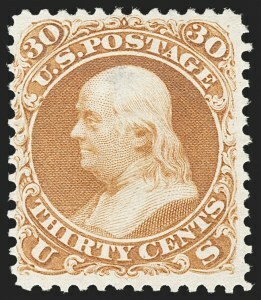 THIS IS THE ONLY RECORDED EXAMPLE OF THE ONE-CENT 1861 RE-ISSUE SPECIAL PRINTING FROM THE 1900 PARIS INTERNATIONAL EXHIBITION IN PRIVATE HANDS. 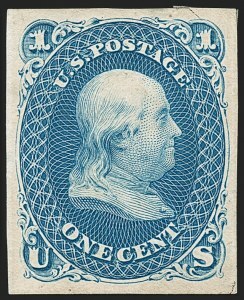 Research begun by Robert Meyersburg and continued by Michael Plett, Richard Drews and others has demonstrated that this item is not a proof "on thick India paper," as the P.F. opined in 2000. 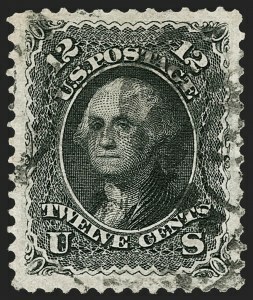 Comparisons were made between this stamp and items at the Smithsonian National Postal Museum from the 1900 Paris International Exhibition. 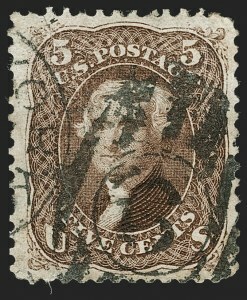 This stamp was found to be an exact match for those items. The research was submitted to the A.P.S. 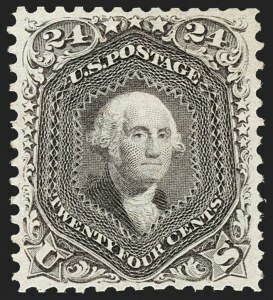 in 2011 and the stamp received a new A.P.S. 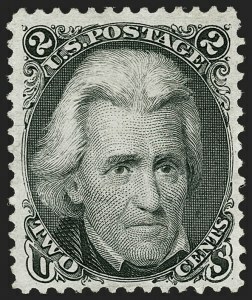 certificate in 2012. See Evans book pp. 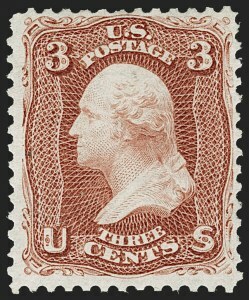 82-83 for a summary of the philatelic aspects of the 1900 Paris Exhibition and this 1c Special Printing.